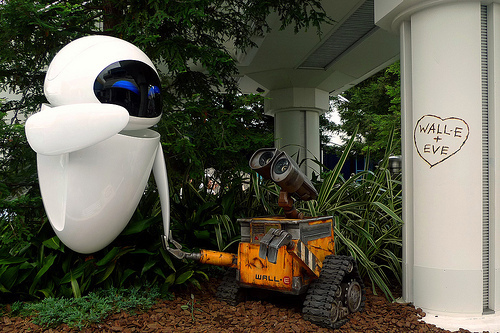 WALL-E & EVE at Disneyland. . Wallpaper and background images in the Pixar club tagged: pixar wall-e eve disneyland wall-e and eve.